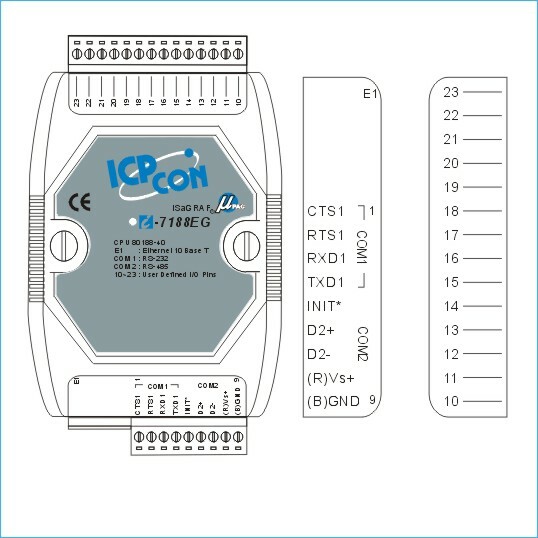 I-7188EXD-MTCP | Modbus/TCP Embedded Controller with 40 Mhz CPU and Real Time Clock Programmable in C Language. Converts Modbus RTU to Modbus TCP. Supports operating temperatures between -25 to 75°C. Can be piggy back din rail mounted on top of other modules. I-7188EXD-MTCP has a 7 segment LED display. Modbus/TCP Embedded Controller with 40 Mhz CPU and Real Time Clock Programmable in C Language. Converts Modbus RTU to Modbus TCP. Supports operating temperatures between -25 to 75°C. Can be piggy back din rail mounted on top of other modules. I-7188EXD-MTCP has a 7 segment LED display. Modbus is a communication protocol developed by MODICON Inc. in 1979. It's a standard, truly open and the most widely used network communication protocol in industrial automation field. SCADA and HMI software can easily integrate serial devices together via Modbus protocol. Modbus/TCP protocol is a variant of Modbus protocol. It was developed in 1999 to allow the Internet community access to Ethernet devices. What software supports Modbus and Modbus/TCP protocol ? 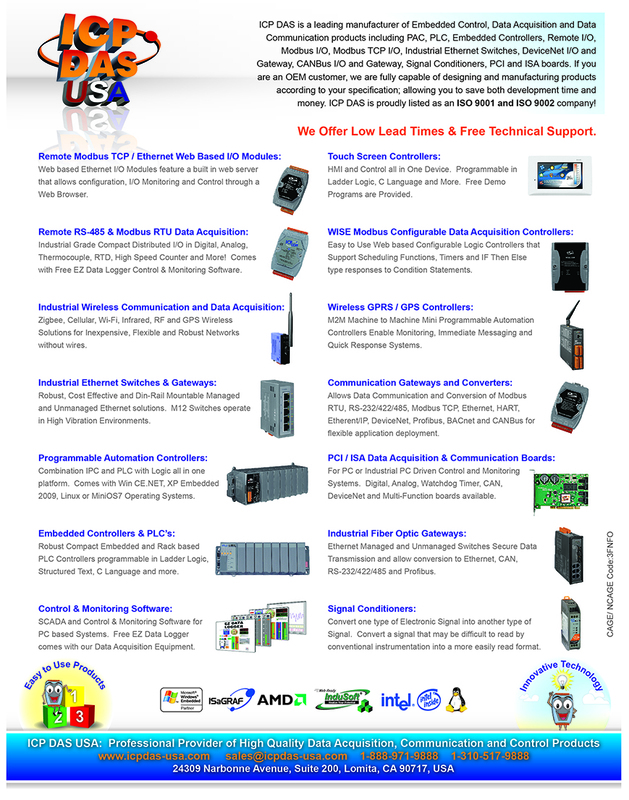 Most SCADA (Supervisor Control And Data Acquisition) and HMI software support Modbus. Examples include: Citect, ICONICS, iFIX, InduSoft, Intouch, Entivity Studio, Entivity Live, Entivity VLC, Trace Mode, Wizcon, and Wonderware. "VxComm" stands for "Virtual Communications Ports". The VxComm Driver creates COM port(s) and maps them to the ethernet port(s) of the 7188E/8000E controllers. 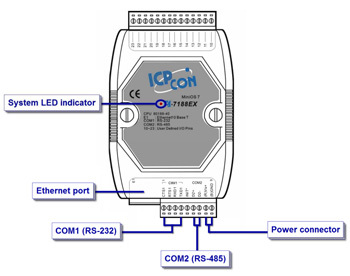 The user's RS-232 client programs only need to change to different COM ports to gain access to serial devices over Internet or Ethernet networks via the 7188E/8000E controllers. SCADA stands for Supervisor Control And Data Acqusition. It is a production automation and control system based on PCs. 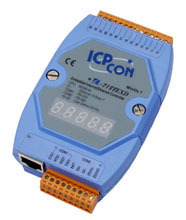 The I-7188E -MTCP is a Modbus/TCP gateway. It can easily upgrade many Modbus/RTU devices to have Ethernet communication ability. If serial devices don't support Modbus/RTU, you can still access these devices. But need to install VxComm driver on host PCs and assign a COM port number to link to the remote COM port (of I-7188E -MTCP). After that, serial clients can access these remote serial devices via standard RS-232 functions. Different I-7188E -MTCP controller supports different client numbers connect to. Please refer to our FAQ on web for more detail. We provide the Modbus SDK allowing users to develop their custom Modbus firmware. Modbus/TCP protocol supports 2 basic data format (bit and 2-byte integer). It means if clients (or called masters) don't support Modbus/TCP or you need other format data (for example: string of floating value), I-7188Es (with default firmware) cannot communicate with them. Using this feature, you can develop your special command protocol to transfer any format of data. Modbus library supports 4 internal register tables (iMemory_AI, iMemory_AO, iMemory_DI, iMemory_DO), you can use these to store specific information. When Modbus/TCP clients request to I-7188E, Modbus kernel will response information from these 4 tables. The 4 internal register tables are all open to users. You need to assign these tables by yourself. By using function ModbusTCP_Master2Slave (declared in MBTCP_7E.h),the 7188EX-MTCP can link 8 max . Modbus/TCP device. By using function ModbusMaster2Slave (declared in MBTCP_7E.h), Modbus/RTU devices can be easily integrated to internal registers of I-7188Es. An I-7188E polling every Modbus/RTU devices and put every necessary information to internal registers. Clients only ask the I-7188E to get all information of Modbus/RTU devices. That reduces loading of Clients. Some serial devices don't support Modbus/RTU. 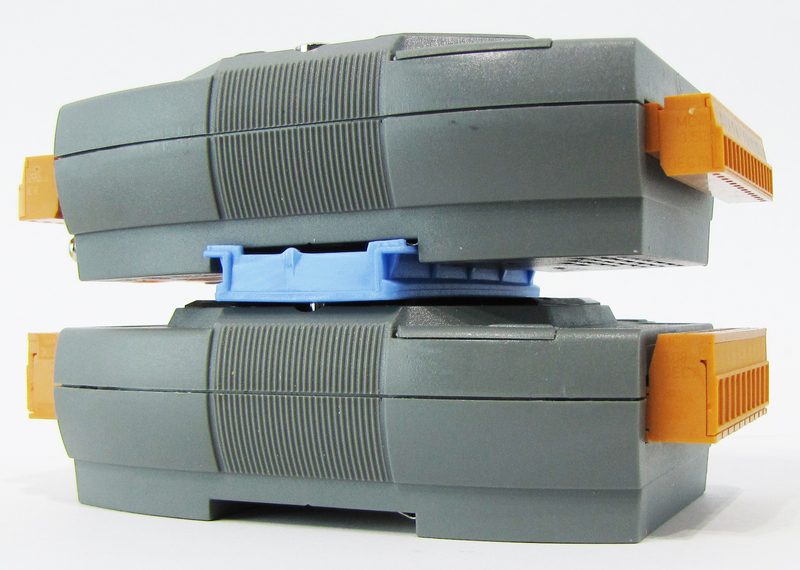 We provide functions to let I-7188E -MTCP access serial devices. You can put information to internal registers of it. Thus, the non-Modbus serial devices can also support Modbus/TCP. You can choose one suitable Xboard to add on an I-7188EX to be on board I/Os. Modbus/RTU client (with source code in VB6) to diagnostic Modbus/RTU slave devices. Modbus/TCP client (with source code in VB6) to diagnostic Modbus/TCP slave devices. An I-7188E -MTCP runs a default firmware to become a single Modbus/TCP to multi-Modbus/RTU converter. You can simply use the Modbus Utility to configure the device and then set connection between SCADA , HMI software and the I-7188E. 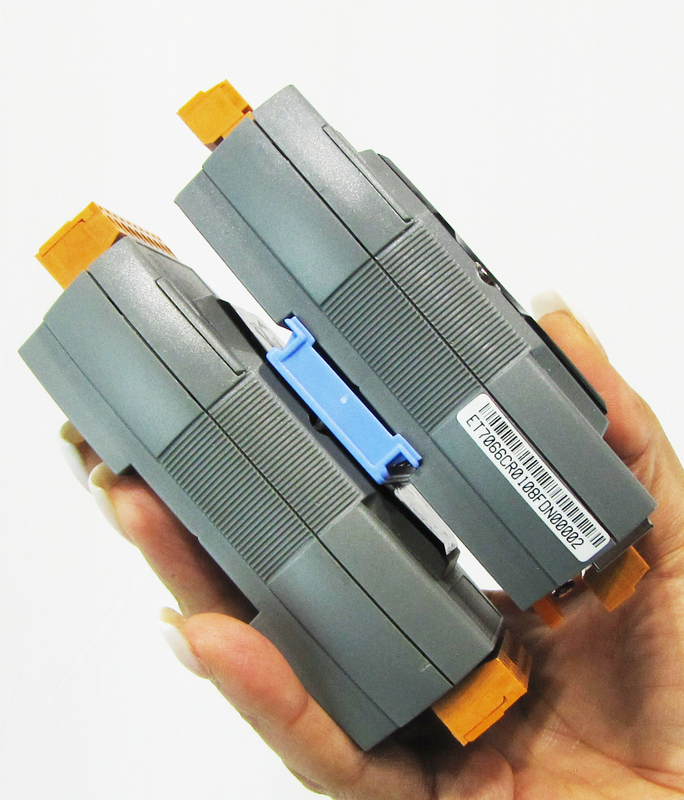 An I-7188E -MTCP is also be able to link to serial devices that don't support Modbus/RTU. To use this function, you will need to install VxComm driver on host PCs. After installation, you will be able to access the remote COM ports via the standard serial driver. Using the Modbus SDK, users can develop their own custom Modbus firmware, allowing extra functions, integration of serial devices and a Xboard to the Modbus/TCP kernel. Thus an I-7188E can become a powerful controller. When an I-7188E -MTCP links same hardware devices as Advanced application 1 link to, if any devices connected to certain COM ports are not integrated into your custom firmware, you are still able to access the COM ports via the standard serial driver. In order to do this, you must install the VxComm driver on the host PCs. Step1. Open the cover of the I-7188EX or I-7188EXD. Step2. Plug the X board to the I-7188EX or I-7188EXD.